OMG you could search and search and never see puppies as pretty as these babies are! These are DRIPPING GORGEOUS! 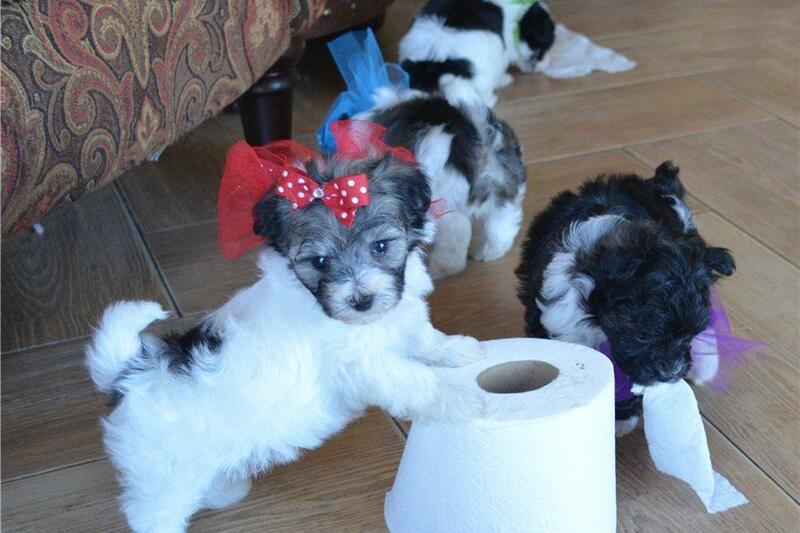 Mom is a very rare Phantom Parti Poodle and dad is a 3 pound Maltese!